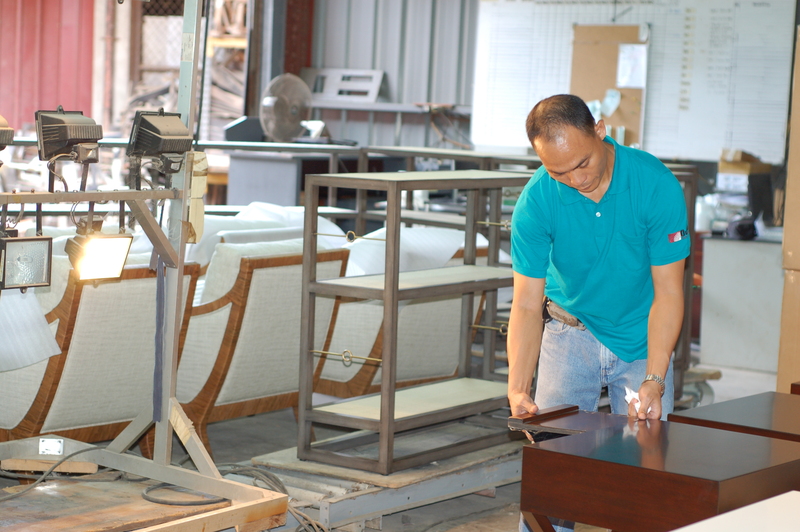 At every step of the manufacturing process, each piece of Mehitabel furniture is subjected to a quality review to ensure that time is not lost and materials are not wasted. This rigorous review process yields a finished product that requires only minor cosmetic retouching and a final polish before being packed and shipped. Mehitabel also accommodates the review by our customers’ in-house or subcontracted quality control inspectors during manufacture and at the end of the production line. Quality control review before packing.